Since I know a little bit from Mexico’s Culture. I can say this movie captures the beautiful essence of the Day of the Dead. Mexico is a country full of color and full of beautiful traditions. 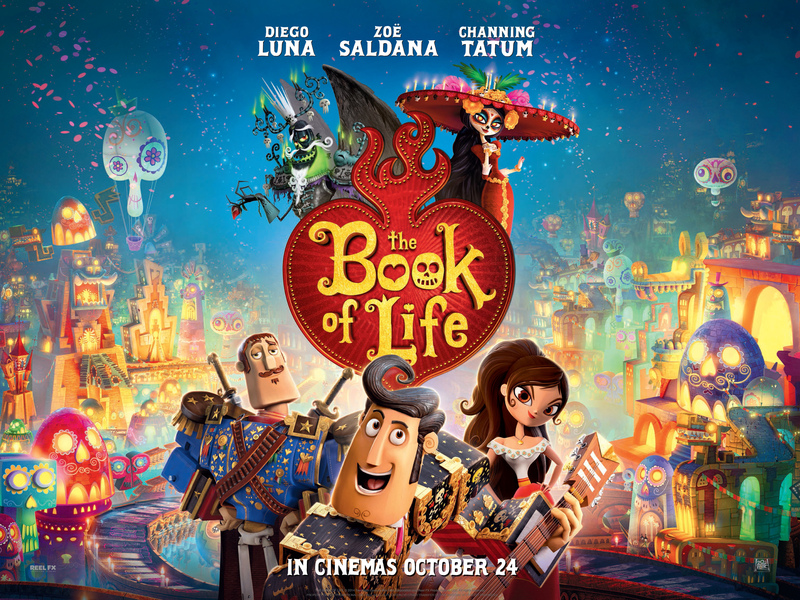 The Book of Life is visually stunning. It is full of amazing music that keeps you entertained and at the edge of your seat. The Book of Life is filled with a beautiful love story, worth of sacrifices and finding your self worth. What I most enjoyed of this movie was of course the cinematography, but I loved to see how actors from everywhere came together to give a voice to these amazing characters. What I appreciated was to see each character having something that makes them different. Of course, everyone is different, but what I mean is how each one of them makes the story and the film flawless. Seeing the country that I am fond with take form in such a spectacular and marvelous way, and I was very happy to hear that everyone loved this movie. It is quite a stunning ride, and I am pretty sure it will be nominated to a Academy Award. Congratulations Guillermo del Toro!